Areas and Software developed by the group and coworkers. The Stuttgart Neural Network Simulator (SNNS) is a library containing many standard implementations of neural networks. This package wraps the SNNS functionality to make it available from within R. Using the RSNNS low-level interface, nearly all of the functionality and flexibility of SNNS can be accessed. Furthermore, the package contains a convenient high-level interface, so that the most common neural network topologies and learning algorithms integrate seamlessly into R.
This package implements functionality and various algorithms to build and use fuzzy rule-based systems (FRBS). They are based on the fuzzy concept, proposed by Zadeh in 1965, which aims at representing the reasoning of human experts in a set of IF-THEN rules, to handle the regression and classification problems. It aims to implement the most widely used standard procedures, thus offering a standard package for FRBS modeling to the R community. "frbsJpmml" is an application written in Java that is used to apply fuzzy rule-based systems (FRBS) specified in the frbsPMML format, which is a universal framework adopted from Predictive Model Markup Language (PMML) format. This application requires two input data: a pmml file containing an FRBS model and a testing file. The output of frbsJpmml is predicted values saved in a txt file. Continuous Optimization using Memetic Algorithms with Local Search Chains (MA-LS-Chains) in R. This package implements an algorithm family for continuous optimization called memetic algorithms with local search chains (MA-LS-Chains). Memetic algorithms are hybridizations of genetic algorithms with local search methods. They are especially suited for continuous optimization. This package provides a collection of self-labeled techniques for semi-supervised classification. 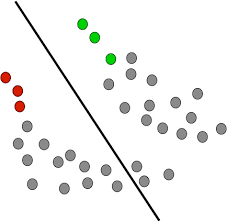 In semi-supervised classification, both labeled and unlabeled data are used to train a classifier. This package implements a collection of self-labeled techniques to construct a distance-based classification model. The techniques implemented can be applied to classification problems in several domains by the specification of a suitable base classifier and distance measure. At low ratios of labeled data, it can be shown to perform better than classical supervised classifiers. Data Analysis using Rough Set Theory and Fuzzy Rough Set Theory. This package provides comprehensive implementations of the rough set theory (RST) and the fuzzy rough set theory (FRST), and integrates these two theories into a single package. It provides implementations, not only for the basic concepts of RST and FRST, but also most common methods based on them for handling some tasks such as discretization, feature selection, instance selection, rule induction, and prediction. Orange SNNS module is an interface module to use artificial neural networks from SNNS software as learning algoritms in Orange. OrangeSNNS.py allows using SNNS to create, train and simulate neural networks as learners inside Orange. Orange is a data mining software that is specially good for researching and teaching. It is developed in Python and C++ combining the best from both: interpretability and quick use from Python and efficiency from C++. Nonlinear time series models with regime switching, an R package which implements nonlinear autoregressive (AR) time series models. For univariate series, a non-parametric approach is available through additive nonlinear AR. Parametric modeling and testing for regime switching dynamics is available when the transition is either direct (TAR: threshold AR) or smooth (STAR: smooth transition AR, LSTAR). This is the time series experimentation kit, an R package that has the aim to facilitate experiments with time series. 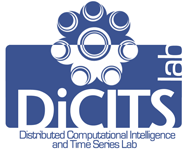 It implements a lot of tasks common in the analysis of time series predictors, such as embedding and preprocessing, time series simulation, partitioning into training, test, and validation set. Also present are some functions for error calculation and analysis/visualization. A tool devoted to the classification of Strachan Transition States in samples of satellite DNA. 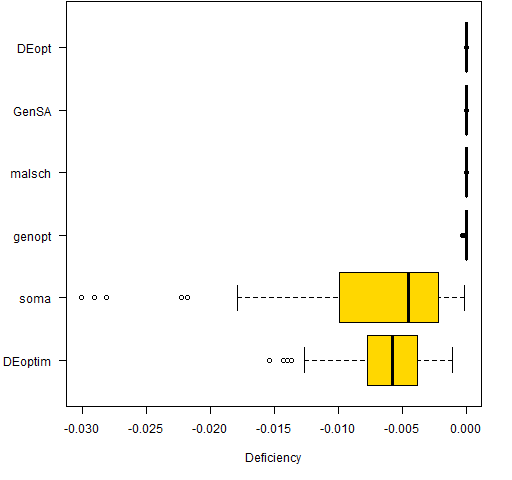 It performs several computations, including nucleotide diversity and transitions/transversions. It shows results graphically in html format. Expert system for Thyroideal diagnosis, which can emulate the diagnosis process of and expert cytologist for cervix diseases, assists user in searching the best diagnoses, interpret the result of these set, and help user to archive most suitable diagnosis. Expert system for cervical lesion diagnosis, which can emulate the diagnosis process of and expert cytologist for cervix diseases, assists user in searching the best diagnoses, interpret the result of these set, and help user to archive most suitable diagnosis.Cytopathologist are specialist and have their own private procedural knowledge acquired in years of direct experience, this procedural knowledge has been studied and then developed on web platform. The system supports the expert in cervical cell diagnosis mainly on the base of the Bethesda2001 system. The application is also hypothesis-based. Certain cell characteristics are presented with the help of prototypical images.The user expert can then check for these characteristics in the examined microscope slide.A fuzzylogic-driven inference kernel computes a list of possible diagnoses, sorted by their probability, and chooses characteristics next to check for,according to this list of hypotheses. The list is continuously updated,until a certain probability is reached which converts the most probable hypothesis into the diagnosis,orthe system has no other cell characteristics to check for,and the process is stopped without solution. This is an expert system that helps us estimate the probability of survival of patients with squamous cell carcinoma of the larynx. It is a system that shows the most important prognostic factors in cancer of the larynx represented by images. Images will be marked according to the characteristics of the patient to achieve a result: the probability of survival at 5 years. 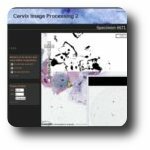 This software was developed to handle high-resolution microscopic images. 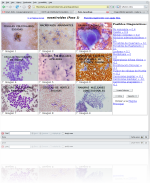 Microscopic slides are managed in a list with thumbnail images and commentaries. The software can import data in the Aperio svs file format and makes them available through a slide viewer which uses the Google Maps API. Furthermore, regions can be defined and extracted to jpg files, where they can be processed by image filters. A bunch of standard image filters is implemented, using ITK and OpenCV. Furthermore, the segmentation results can be reintegrated, and can be displayed in the image viewer as overlays onto the original image data. Fitness can be measured by the volume of oxygen you can consume while exercising at your maximum capacity. VO2Max. is the maximum amount of oxygen in millilitres, one can use in one minute per kilogram of body weight. In the new global economy, transport infrastructures have become in an important part of the basic skeleton that allows the development and the economical growth of a country. This sector represents about about 5% of EU Gross Domestic Product (GDP). Report EU Transport Green House Gases Emissions: Routes to 2050 (Hill et al., 2011), estimates that 28% of total emissions bounded to railway transport is due to the infrastructure. Almost half of these emissions are caused during construction of infrastructure. This represents a high environmental impact and the majority of these emissions come mainly from the production and transportation of materials , and earthmoving. Having a model or algorithms to not only the calculation of the carbon footprint and water, but the analysis of planning alternatives for optimization and improvement, would be a substantial boost in the reduction of emissions and impact associated with the construction of High Speed Railways (HSR) infrastructures. The goal of this work is to provide an evolutionary multi-objective algorithm to optimize decision-making process and analysis of building resource-constrained project scheduling of HSR infrastructures. Reduce carbon and water footprints from the construction of HSR infrastructures and related projects, taking into account other factors (GHG, acidification, photochemical oxidation, eutrophication, etc), and the economic cost are consider main objectives. 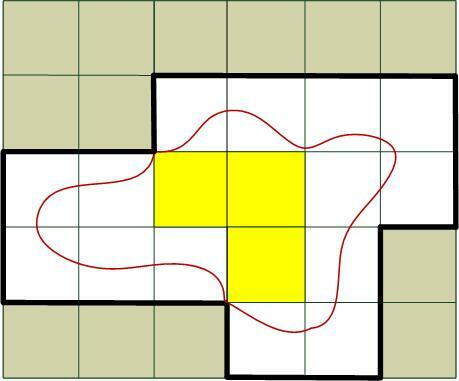 This model provides a scheduler and planner of HSR construction projects using a multi-objective optimization algorithm (EMOA) capable to generate a set of feasible solutions to the problem.